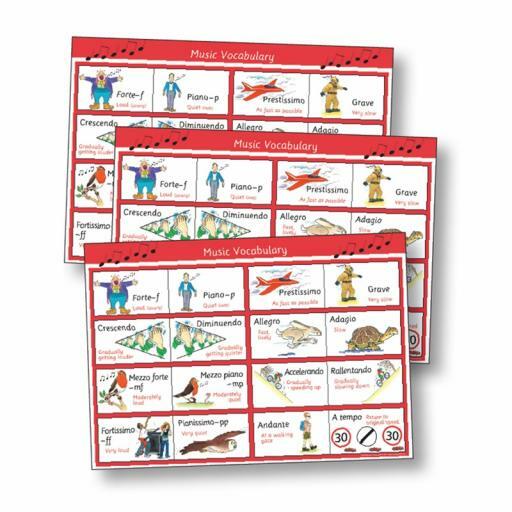 A colourful and amusing set of laminated deskmats with graphic illustrations and clear definitions of 16 terms of musical vocabulary, including forte, diminuendo, allegro and adagio. 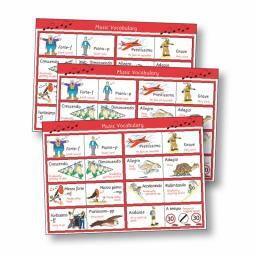 The set allows for small group use. Set of 10.